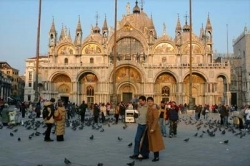 1.day Arrive to Ljubljana airport or to Venice airport. 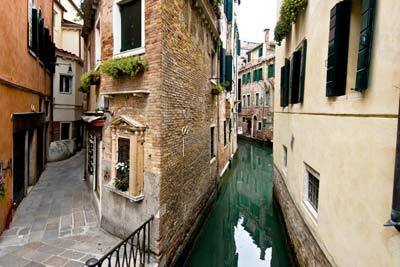 Arrival to Venice area and check in. 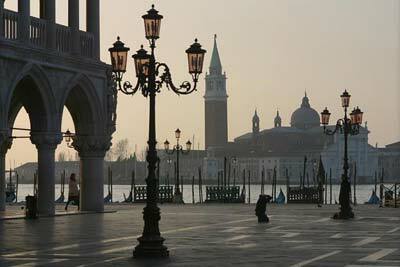 Evening - Venice at leisure. Breakfast and departure for Venice walking city tour. You will see St. Mark's Basilica & Square, the Doge’s Palace, the Bridge of Sighs and the New Prisons, the Palace Armory, the Rialto Bridge and the Rialto Fish Market, Grand Canal, the House of Marco Polo, Church of Miracles, the Academia Bridge and the Academia Gallery, and numerous hidden streets and squares of this incredibly unique city. Afternoon is by your own - walking and shopping. You could also take the Gondola ride or city regular boats to see the top sights of Venice from the water, climb the bell tower of St Mark's Basilica for the best panoramic views, visit the terraces of St. Mark’s Basilica or the Doge’s Palace (do not forget on the torture chambers and Casanova’s prison cell), stop at quiet little San Giorgio Maggiore Island and climb the bell tower of San Giorgio Maggiore to see the most famous sights of Venice. Breakfast and departure towards to Ljubljana (it takes approx. 2.5 hrs, 240km). Check in. 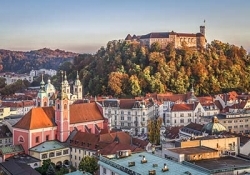 Afternoon - Ljubljana city tour. Breakfast and departure towards to Postojna Cave Park, a fantastic web of tunnels, passages, galleries and halls, the astonishing diversity of Karst features (we will reach it in ~1 hr, 55km, entrance fees 23.90€ pp). You can optionally visit the Predjama Castle, this picturesque, magnificent, defiant, mysterious and impregnable castle has been perched up in the middle of a vertical 123-metre high cliff for more than 700 years; its romantic appeal is further emphasized by the idyllic River Lokva, which disappears into the underground world deep down below the castle. You can also optionally visit the Hrastovlje to see the Church of the Holy Trinity and its frescoes from around 1490 year; the Hrastovlje church ranks at very top of Slovenia's medieval mural artwork, the most famous scene of medieval frescos in Slovenia is painted: a continued Dance of Death - the rare scene shows people dancing with skeletons before the grave. There is a whole line of people of different classes in their typical clothing: from a baby, beggar to the king and the pope; all of them are led by skeletons though life to the grave. Here you could taste the local wine and take the lunch. It takes app. 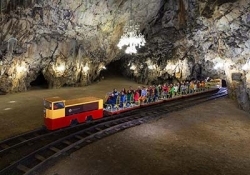 plus 2hrs (55km far from Postojna Cave/105km far from Ljubljana). Breakfast, check out and departure towards to Zagreb via Bled and spa Rogaska (~320km). 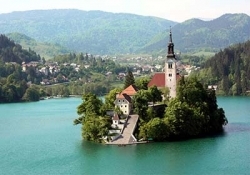 In the morning we will visit the village of Bled to see Lake and Castle (~1 hour, 60km) - Bled castle is the oldest castle on Slovenia round kept written sources: at year 1011 the castle building had already been erected (entrance fees 10€ pp). Climb up to the Castle and enjoy the finest view of the lake with its island. Visit the lake island with its glorious Gothic church and the famous wishing bell. Take a trip across the lake in the traditional Pletna boat and relax in the atmosphere (by pletna boat-taxi or by rent boat for approx. 12€ per hour, plenty of time to visit the island). Taste the true Bled cream cake at Park restaurant and cafe (app.3.5€) ! Upon arrival to the Rogaska Slatina (~2hours, 170km) free walking time to enjoy the popular European health spa resort Rogaska Slatina (specialised for healing and easing chronicle gastrointestinal, metabolic (diabetes, elevated blood lipids, obesity), management and psychosomatic diseases). The healing power of the natural mineral water Donat Mg is the basis of the therapeutic procedures in the Spa resort Rogaška. Take the time, optionally: in the Medical Center Rogaska we can offer you the mineral bath (25€) and massage 30 min (31€). Please, let us know if you would like to reserve the procedures. You can also visit the glass factory Rogaška to buy the products in the industrial shop or to join a guided group tour of the factory to see the production of the unique products of glass masters, which are made by blowing the glass into different shapes. 17:00 Departure from Rogaska towards to Zagreb (~1.5 hour, 90km). Arrival to Zagreb, check in and departure for Zagreb city tour. Evening is by your own. 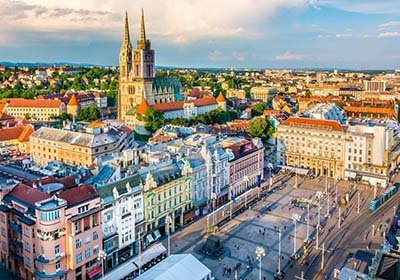 Overnight in Zagreb. 6.day 08:30 Breakfast, check out and departure towards Zadar via Plitvicke Lakes. The travel from Zagreb to Plitvicke Park takes approx. 2.5 hours (150km). 15:00 Departure from Plitvicke lakes National Park to Zadar (~2.5 hours, 150km). 18:00 Arrival to Zadar, check in and free walking time in Zadar. Overnight in Zadar. 09:00 Šibenik, the oldest native Croatian city on the Adriatic and the main sight is St. James’ Cathedral (because of its exceptional value this Gothic-Renaissance monument is included on UNESCO's World Heritage). 12:00 Historic city of Trogir is the best-preserved Romanesque-Gothic complex not only in the Adriatic, but in all of Central Europe. Trogir has a high concentration of palaces, churches, and towers, as well as a fortress on a small island (UNESCO), Trogir's medieval core, surrounded by walls, comprises a preserved castle and tower and a series of dwellings and palaces from the Romanesque, Gothic, Renaissance and Baroque periods: Trogir Cathedral of St. Lawrence and the Duke's Palace (13th century); city walls, the Fortress Kamerlengo and the big and small palaces Cipiko (15th century); the city gate (17th century). We’ll leave the city of Trogir at 15:00 and drive towards to Split. Travel distances: Zadar - Sibenik (~1 hour, 90km) / Sibenik -Trogir (~1 hour, 70km) / Trogir - Split (~45 min, 30km). 16:00 Arrival to Split, check in and the departure for Split city tour. The main sigh of the city is the Palace of the Roman Emperor Diocletian. 8.day 10:00 Breakfast, check out and we will leave Croatia for Bosnia and Herzegovina to visit the wonderful city of Mostar – its Old Town and the Old Bridge. We will stay one night in Mostar to enjoy its atmosphere. (Split–Mostar: ~3hrs, 180km). Optionally (25€pp): the visit of Međugorje, one of the most famous and visits places of pilgrimage in the word. 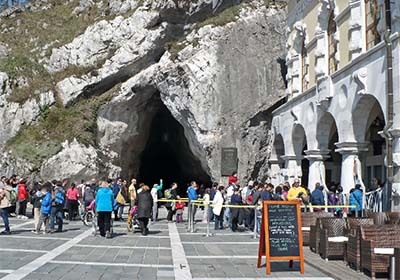 This place has attracted millions of visitors from all over the world since 1981, when Virgin Mary began giving messages of peace to the visionaries. Besides sightseeing there is also a rich religious program. Join and feel the spirit of Međugorje (30km far from Mostar). Free afternoon in Mostar, we will enjoy the magnificent Old Bridge with old town, included into UNESCO's List of world cultural heritage, with its towers, oriental shops, smells of various specialties of oriental cuisine, returns you into times of a few hundred years ago. Traces of those times can be seen in the old Bazaar, mosque, museum of Herzegovina, or a typical "Turkish house". Optionally (45€pp): the visit of Međugorje - Mogorjelo (archeological excavations from 4th century in the vicinity of Čapljina) - Počitelj (artistic colony and museum town from 16th century). Overnight in Mostar at the hotel, located in the heart of the city, 150 meters from the Old Bridge in the UNESCO-protected area. There is an exceptional opportunity to see a part of that history at first hand by visiting the stone house, which was built in the hotel garden and it is now open to all guests staying at our hotel. Herzegovena's stone house is built ecologically to symbolise both the past and the present for the region. 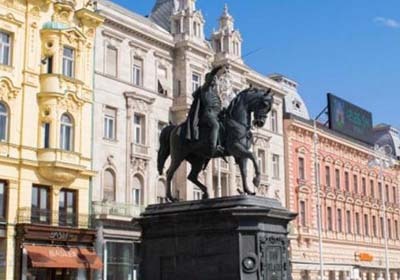 There are various artifacts from the 16th century on display which will take you on a journey of how daily life occurred from the past to the present. You will be able to dine on the food and wine delights representing the local famous wines Zilavka and Blatina, a ! welcome drink. 9.day 10:00 Breakfast, check out and the departure towards to one of Montenegro's most beautiful bays Kotor Bay (Montenegro) (it takes ~2,5 hours, 200km). Optionally (35€pp): the visit of Blagaj, the town in which is one of the strongest karst springs in Europe. Beneath a big rock by the spring there is a house called dervish Tekia, today an attractive cultural monument, built probably around the turn of 16th century (12 km far from Mostar) and the town of Trebinje (the Arslanagic's Bridge from the Turkish period and other worthwhile sights). Optional tour takes approx. plus 2 hours. Arrival to Kotor, a city of traders and famous sailors, with many stories to tell. The Old City of Kotor is a well preserved urbanization typical of the middle Ages, built between the 12th and 14th century. Bay of Kotor or Boka Kotorska (UNESCO - Boka Kotorska, City of Kotor and surrounding territory), for its beauty, wide open spaces and magnificent relief, is one of the most interesting natural attraction of the Mediterranean. Kotor is situated in the triangle which is bounded by the Adriatic sea, river Škurda and hill Saint Ivan, on top of which stands the fortress of San Giovanni. The Natural and Culturo-Historical Region of Kotor bears unique testimony to the exceptionally important role that it played over centuries in the spreading of Mediterranean cultures into the Balkans. Check in and free walking afternoon to enjoy your summer vacation. 10.day 10:00 Breakfast, check out and the departure towards to Dubrovnik. Today we will visit Cetinje and Budva (Kotor – Cetinje ~1 hour, 50km; Cetinje – Budva ~45min, 35km; Budva – Dubrovnik ~2,15hrs, 95km). The road Kotor - Cetinje is mostly a narrow one-lane road offering stunning views of Kotor from above. The most famous part of the road is a stretch of 8.3km long, pretty steep, with 16 hairpin turns. Along this section, the road starts at an elevation of 458m above the sea level, and ends at 881m. Over this distance, the elevation gain is 423 meters. The average percentage is 5,09%. Cetinje, located in the Lovcen mountain, an Old Royal Capital of Montenegro and a treasure of Montenegrin cultural and historical heritage. Dubrovnik city tour. The heart and soul of Dubrovnik, the Old City (UNESCO), lies defended behind magnificent white stone walls that sprout out from the sea hiding the wonderous architectural marvel of Dubrovnik. Stradun or Placa, the Dubrovnik Old City main street; Dubrovnik City Walls (built from the 8th until the 16th century); Orlando column (from 1418) the statue of Paladin Roland; St Blaise's church. 12.day Breakfast, check out and the transfer to the Dubrovnik airport. *the yacht rent package (throughout the sailing season, from early April till November you can rent of motor yachts, crewed, skippered or bareboat sailing yachts, catamarans, gulets).